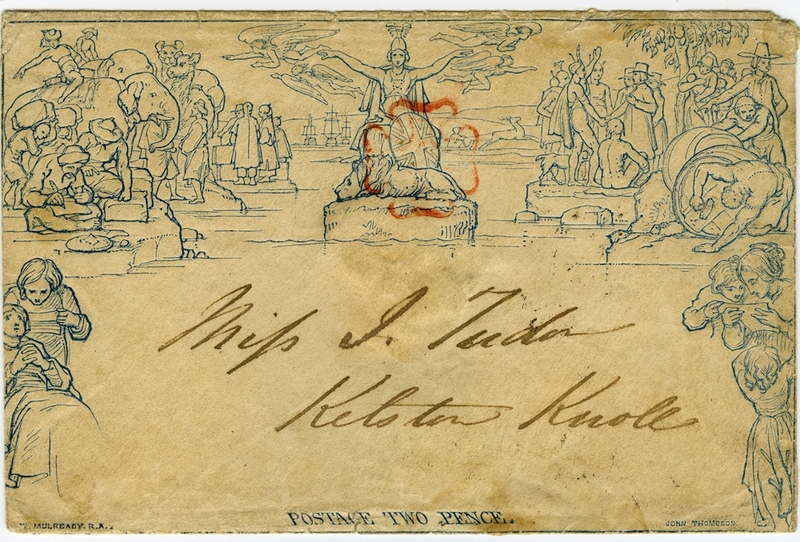 This is a twopenny Mulready envelope in blue. Used on 6th May 1840, this is one of three known to still exist that were used on the first day of issue. It can be seen on permanent display at Bath Postal Museum. The postmark on the reverse is not clear and could read 1840 or 1841. However, the red Maltese cross strongly suggests 1840 as black postmarks were introduced early in 1841. Weston Parish register supports this view as it lists the marriage of the recipient, Miss Isabella Tudor as taking place on 3rd December 1840. 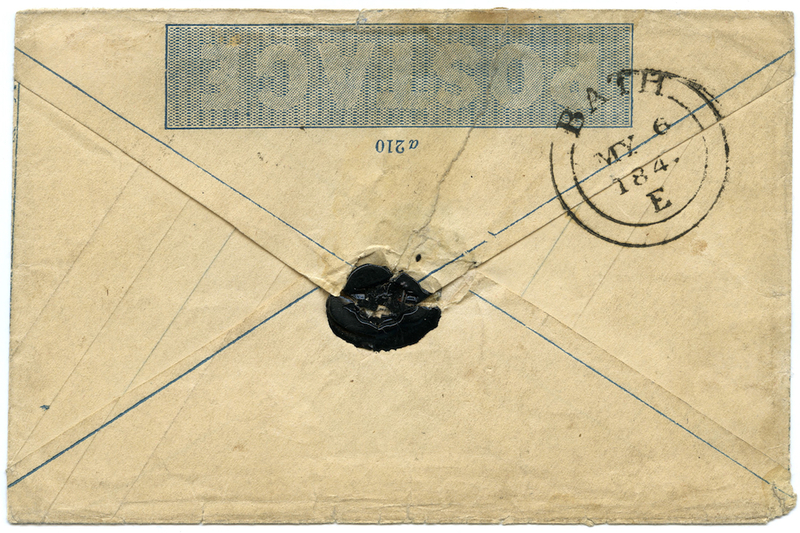 Her residence at the time of marriage is stated as Kelston Knole, this envelope is addressed to Kelston Knole on the outskirts of Bath and received a Bath double arc postmark on arrival on the same day.